Berkshire Hathaway’s Warren Buffett doesn’t own any Apple shares, but if he did, he wouldn’t cast his lot with activist investor Carl Icahn, who has recently been pushing the company toward a larger share buyback. 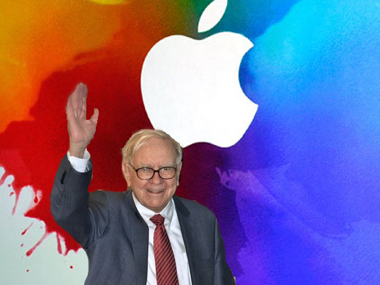 Asked during an interview with cable television network CNBC about Icahn’s efforts to convince Apple to raise its buyback well above the $60 billion to which it’s already committed, Buffett said he supported Apple’s handling of the situation. Buffett, it should be noted, told Apple co-founder Steve Jobs years ago that the best thing he could do if he believed the company’s stock was cheap was to use its cash to buy it up. [Steve] said, “We’ve got all this cash. What should we do with it?” I said, “I would use it for buybacks if I thought my stock was undervalued.” And I asked, “How do you feel about that?” Apple stock was $200-and-something at the time. He said, “I think my stock is very undervalued.” I said, “Well, what better to do with your money?” … And, he didn’t do anything, and of course, he didn’t want to do anything. He just liked having the cash. It was very interesting to me because I later learned that he said I agreed with him to do nothing with the cash. … He didn’t want to repurchase stock although he absolutely felt his stock was significantly underpriced at two-hundred and whatever it was then.